Returning for its fourth year in 2019, BrickCan is the largest public exhibition of LEGO® creations ever held in British Columbia – and it all happens again this coming May 2-5, 2019! BrickCan also hosts Canada’s largest Adult LEGO® Fan Convention. Public exhibition tickets will be available here. The Adult Fan of LEGO Convention is a four day event, taking place at the River Rock Casino Resort in Richmond, created by local Adult Fans of LEGO, or “AFOLs” for short. Hundreds of LEGO builders from around the world will travel to Vancouver, bringing with them amazing models that they have spent countless hours designing and building. These AFOLs will set up and stage their creations, showcasing a fantastic display of hundreds of incredible models for both attendees and the general public to marvel at. If you would like to attend the full convention as an AFOL, please visit the Adult LEGO Fan Convention page. The full AFOL convention takes place over four days starting Thursday, May 2, 2019 with the final two days, Saturday and Sunday, May 4-5 2019, open to viewing by the public. We invite all ages to come to the River Rock, walk through the displays, meet the builders, and have some LEGO fun! Tickets for various sessions on the two exhibition days will be made available in early 2019! BrickCan is about old friends, new friends and coming together over our common interest in LEGO. We bring our builds to share with our peers and to display them for the public. We hope to foster friendships and community through our enjoyment of LEGO. If you are a member of the press or want media information, please visit our media page or contact us. The AFOL convention and public exhibition are created and produced by the BrickCan Foundation, a non-profit society (# S-0064057), registered in the province of British Columbia, Canada. To Host and promote community events in Canada, with and for LEGO brick builders, collectors, and fans of all ages. To provide connections, networking, training, and entertainment opportunities to individuals, organizations, groups and communities interested in building, collecting, and displaying LEGO bricks, products, and creations. To promote community, inspire creativity, and encourage excellence in building by demonstrating and showcasing talent and innovation related to building with LEGO bricks. 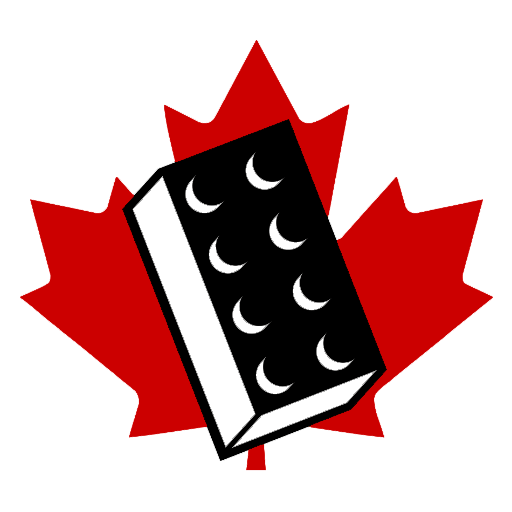 To promote interest in, and increase awareness of, the Canadian LEGO fan community, and Canadian culture in general.